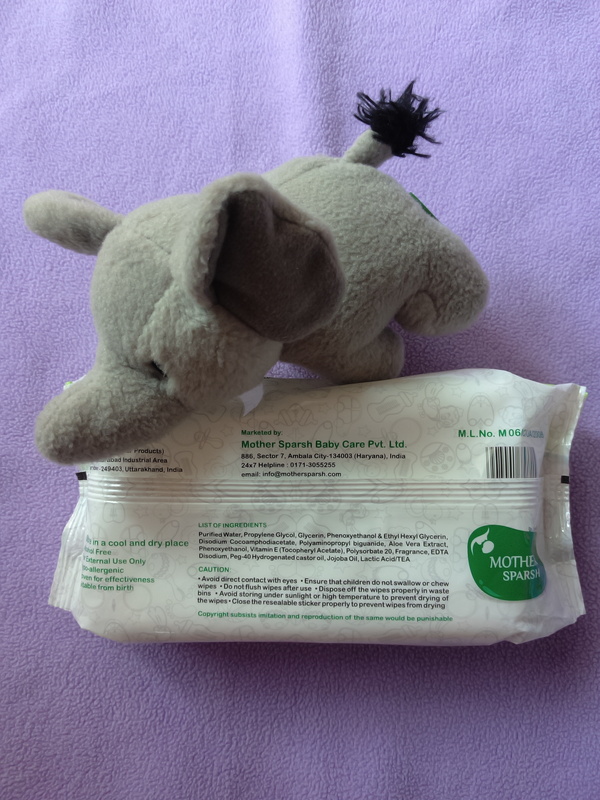 Mother Sparsh Water Wipes are the purest wipes I have used so far. They have extra moisture and do not cause any irritation on a baby’s skin. Baby’s skin is far more delicate and sensitive than an adult. Even while using a wet wipe one must be very careful. Many wipes have alcohol contents and have a soapy feeling which would make me worry about the effect of their chemicals on my baby’s skin. Mother Sparsh Water Wipes are enriched with Vitamin E. it has purified water, aloe-vera extract, glycerine and jojoba oil as its key ingredients. They are paraben and alcohol free. These are 98% water wipes. I remember when my children were born, my mother had given me a bag full of soft muslin cloth cut pieces which she had washed and sanitised at home very carefully. She told me to dip those muslin cloth pieces in water and use it as disposable wipes for cleaning my new born babies. These wipes are as good as a cotton ball or a soft muslin cloth dip in water. Now, when I use it for my toddler, I feel as if I am again using those muslin cloth pieces dipped in water that I used to do earlier. Mother Sparsh Water Wipes are worth their price. It comes in a pack of 80 wipes and are reasonably priced. With the complete effectiveness that it provides, we just need to use one or two wipes at a time. So, a complete value of money. It’s a big challenge to keep our little ones busy at home. Children these days are very smart and more aware than their previous generation. They are so active and bubbling with energy that it’s a real challenge to make them sit at a place for some time. A teacher by profession and a stay at home mom by choice, I always found art and craft activities as my best pal to keep the children busy in their free time both in classroom and at home. 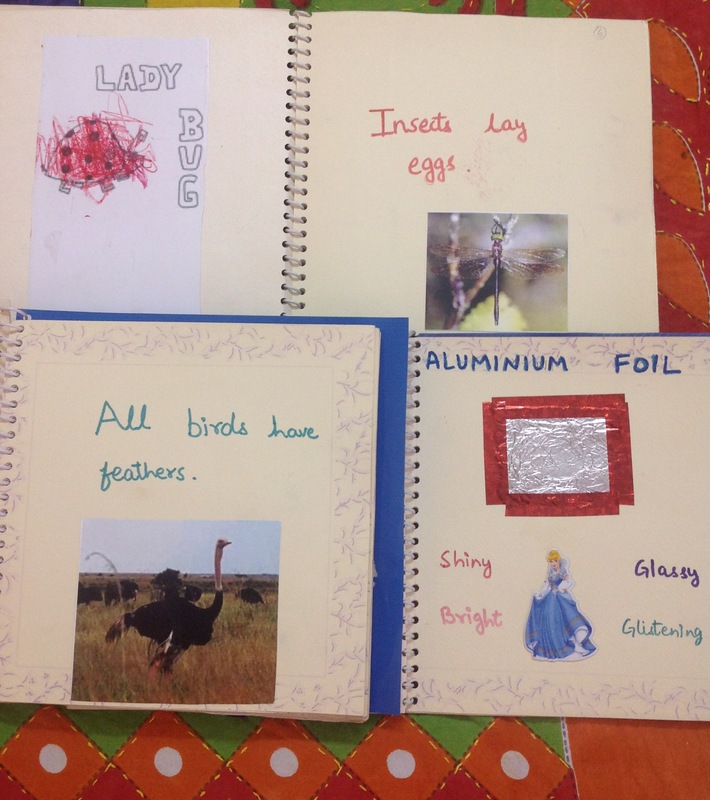 When my daughter was three years old, we created our very own book of textures by which I taught her not only about textures but also inculcated in her a love for books. We took small pieces of different materials like cotton cloth, aluminium foil, card board, wool, silk cloth and more such things having a different feel. We pasted them in separate sheets of paper and wrote all the words that sprang up in our minds under their names. For example- wool: shaggy, coarse, warm etc. We wrote words which related to their look and feel. We decorated the sheets and tied them together with ribbon. This activity helped her in various ways. It helped in increasing her vocabulary, her knowledge related to various textures and materials, her creativity was enhanced and it directed her energy in the construction of an object as opposed to destruction which kids usually do. Like this can be My Book of Birds, Insects, animals, numbers etc. In creating My Book of Birds and Insects, we included several other activities like picture colouring of birds, join the dots to make a bird, match the columns, odd one out etc. We pasted pictures of birds, their wings and learnt about their types. The best part of these activity is that it benefits a child in multiple ways. In this activity, we made a pair of dice. One can use a big cardboard box or paste cardboard sheets together to form a cube. Paste coloured paper on each side. With a coloured sketch pen write numbers or cut coloured paper in the shape of numbers and paste. Write the numbers from 0-5 on one dice and numbers 5-9 and 0 on the other dice. Various number games can be played with the help of these homemade dice. They can be used for teaching numbers, counting and recognition, big and small numbers, throw the dice and jump or clap according to that number, which number comes before and which comes after. It provides a fun activity at the same time increases their constructive abilities. One can think of more number games with these dice. Our house was at the second floor, we numbered all the stairs with paints. 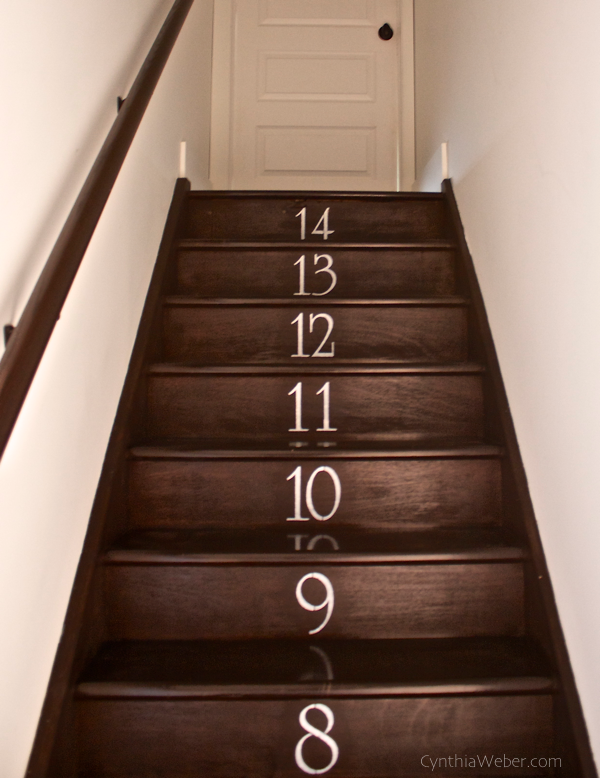 Learning numbers was so much fun with those numbered stairs. Any number of games could be played on those stairs. Of course, we need to be very careful while playing on the stairs but if played carefully and cautiously it can be great fun. Take a ball and tell the child to throw it on a specific number, go to this number or that, etc. If the child is old enough to be careful on the stairs then one can teach other mathematical concepts like forward counting, backward counting. 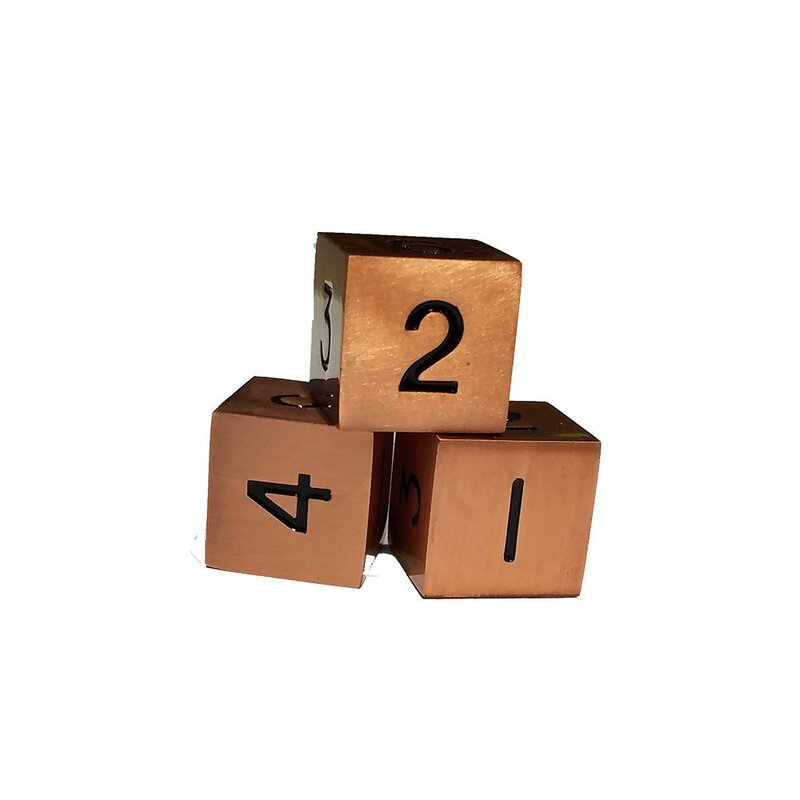 The cardboard dice can also be used to play on numbered stairs. For example, throw the dice and tell the child to go to that number. Tell the child to do some funny action like clap his hands or roar like a lion as he reaches that specific numbered stair. These activities help in keeping the child away from the gadgets, it also helps in his all-round development, they allow learning by doing, provide concept clarity and fun while they learn. Although, it does take a lot of effort on a mother’s part but it does benefit the child in more than one way. I enjoyed doing these activities with my daughter and she had fun too. They also helped in building up our bond. On my part, I was teaching her; on her part, she was playing with me. This Mother’s Day was very memorable for me. My daughter wanted to make something special for me. She wanted to keep it as a secret for me. For every art and craft activity, usually it’s me who helps her out. On Mother’s Day, she was planning a surprise for me. She decided to take the help from her father. “Papa, I want to give a surprise to mom for Mother’s Day.” My daughter told him. “Sure darling. What are you planning?” asked my husband. “Papa, I want to make a Mother’s Day card for her. Can you help me?” she replied. “Papa, I don’t know how to make it. Mom, always helps me in Arts and Craft, but I don’t want to take her help. I want to keep it as a secret from her. Please, Papa, help me in making a card for her.” She added. My husband surfed the net and showed a few templates to her on his phone. She tried to draw by looking at it but found it difficult. The result was also not upto her satisfaction. My husband then took a printout of that template for her and gave it to her. Our HP IA 3700 series printer is so handy and sleek, we can take out printouts even from our phones. She was happy to get the template. She coloured and decorated it herself. She brought the card and gave it to me. It was the most beautiful card. I could not even believe that she made the card herself without taking any help from me. Her choice of colours and ideas of decoration were so beautiful that I got the card framed and placed it in our drawing room. Children these days are extremely talented and intelligent. They just need a little assistance from our side to bring out their talents to their full potential. Earlier, we always needed to go to the markets to buy cards and taking out printouts for our homework projects but these days having a printer at home is a blessing. With so much work and projects to be done, going to the markets for printouts is sheer waste of time. Having an all in one printer for wireless printings is a must these days for fulfilling the educational and creative needs of our children. A little backing up with technology, makes a lot easier for kids to make their projects on their own and to put their imagination on paper. Children are full of ideas and imagination. They face difficulty in putting it down on paper coherently. A little technological assistance helps them come up with amazing results. With the summer vacations on, kids need to be kept busy at home in a constructive manner, so that they watch less TV. Providing them with templates for art and craft activities, colouring pages and worksheets for various subjects can keep them engaged for hours. So, this summer vacations, let your child unleash their imaginations and come up with surprises for you. Watch this little video and see how your little ones can bring surprises for you. Children these days are very smart and intelligent. Inspite of their intelligence they are showing highly aggressive behaviours. As a mother, it is really painful to see your little bud turning out to be a defiant. Motherhood is the most beautiful gift of God. We keep thinking about and analysing our mothering skill. We try our best to make our children good human beings. It is our constant endeavour to inculcate good values in our kids. Our jobs become tougher when our child is a little more difficult to handle than others. It becomes very challenging when our child displays aggression or defiance. We keep telling them to do something and they will pick up a fight instead of completing the task with obedience. It leaves us defeated when we get everything like yelling, backfiring, arguing, anger but not obedience. Think of a scenario like this: the child comes back from school, throws the bag in one corner, the shoes go flying and land in a thud. The socks are rolled down and thrown on the sofa. The belt is thrown on the floor and after creating all the mess the child sits in front of the television. How will you react in a situation like this? The immediate impulse of the mother is to shout and scold the child to put the things properly at their place, wash his hands and face and have lunch. What will be the child’s reaction? He would either increase the volume of the television or start yelling back. Result? More yelling and backfiring. In the end, the mother gets defeated. I would not say that I have won my battle. I am trying too. Parenting is about trials and errors. Some trials bring out positive results while some prove to fail. I would like to share here a few of my trials which have succeeded. Always acknowledge and appreciate even the smallest good effort of your child. Don’t miss out any opportunity to tell him or her that he or she is wonderful for he or she truly is. If you have asked your child to put away his or her own things at a place then reminding every 5 minutes is futile. It will only result in arguments and complaining. The child is strong willed. He or she knows what he or she wants. There is no point in telling him or her again and again. Do make him or her understand his or her choice. Let the child know what he or she is capable of doing and encourage him or her to make right choices. Along with appreciation, your expressions matter too. This means that while you are encouraging a good behaviour, you must reinforce it with the excitement in you tone and enthusiasm on your face. This lets the child know that he is getting appreciation. Punishment should not make the child feel as if he or she has done a crime. The punishments should be justified to the extent that they realise their mistake and learn out of it. It should not make him or her feel demoralised. Remember punishments might turn them more defiant and defiant and fearless. If you follow the rule of punishment, then have a reward system too. Sometimes, even the toughest child learns out of reward than from punishment. Rewards make the defiant more confident of their accomplishments. They feel pleased and encouraged with rewards. Yelling back doesn’t control the situation, instead it will only worsen it. The more calm and peace you show, the more the child will learn to deal with his anger and emotions with peace. Each child is different and every parent has his or her own way of dealing. It might seem hard and difficult but one should never give up. If one way doesn’t work then keep trying other ways.